Another important example is how your business is discovered in search engines. Many businesses build a website and think they will automatically be discovered. While it is possible to appear in organic search results, you can’t discount the impact of paid advertising. In a recent Smart Hustle Interview, James Hill of High Cotton spoke about their success with organic search but also that they bolster it with Google AdWords advertisements that allow them to claim a prominent spot on the first page of search results on terms for which that they don’t rank so high organically. As a small business that has grown into a million dollar company, the strategy has proved successful. There are many reasons why Google AdWords is so powerful in a “you get what you pay for” marketing world. People who click on PPC ads are 50 percent more likely to make a purchase. For commercial searches, 65 percent of clicks are paid advertisements. On average, businesses make $2 for every $1 they spend on Google AdWords. In general, businesses find great success when they optimize their Google AdWords campaigns [See how these 4 Small Businesses grew sales using Google Adwords!]. We mentioned the story of High Cotton. You should also consider the story of Happy Hound, a dog daycare and boarding business that generates 90 percent of their business from Google AdWords, and the story of First Crush, a California restaurant that used Google AdWords to increase site traffic by 400 percent. #Smallbusiness #marketing: 5 tips for getting started with #GoogleAdWords. 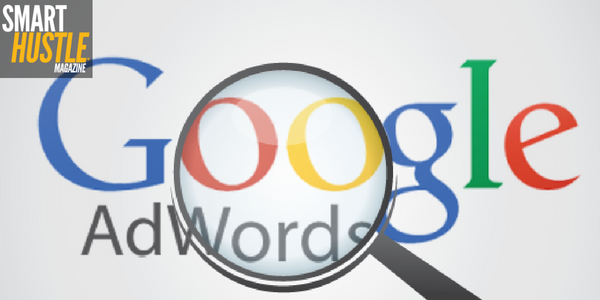 Evidence shows that Google AdWords works – but only if you use it correctly. If you’re just getting started, here are some tips that will help. Before you dig into the more nuanced aspects of Google AdWords, learn about the basic process. Google has a simple 7-step guide here. It involves signing in, targeting your geographic region, setting a daily budget, setting the amount spent per click, creating your ad, selecting your keywords, then completing the billing. Once you understand how the process works, it’s time to start planning your campaign. As Neil Patel, founder of KISSmetrics, says here, the biggest mistake people make is focusing on the wrong keywords. You might be drawn to the keywords that generate the highest search volume, but the best campaigns are run using targeted keywords, including long-tail keywords that have a much smaller search volume but allow you to find your target customer at the point when they are ready to make a purchase. You Google AdWords advertisement will include a link for people to click, and one mistake that business owners make is directing people to their main homepage. The problem with this is that when they get to your homepage they have a lot of choices they can make, and they may be directed somewhere away from the main goal. A landing page, on the other hand, is a dedicated page that guides people to the precise path specified in your call-to-action. Therefore, it will help you make the conversions outlined in your campaign objective. Another huge mistakes is setting your Google AdWords campaign and then forgetting about it. Running ads requires constant modification to ensure you are getting maximum results. Approach it in a scientific manner using A/B testing. To do this, run similar campaigns that vary on one specific aspect – perhaps trying different ad copy, different landing pages, or different bid prices. After a test period, compare the two ads on various metrics such as clicks, click-through-rate, conversions, conversion rate, and cost per conversion. If there is a clear winner, split that into a new A/B test to analyze a new variation. It’s a constant quest of trying to find something better. While free marketing might be the ideal in your small business, never forget that you get what you pay for. Google AdWords is a powerful tool if you learn how to use it right! Begin exploring today.